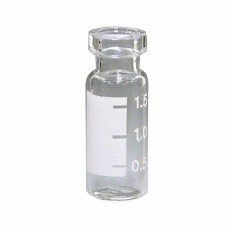 1232021.8 mL clear graduated crimp top vial, 12x32 mm. Made of type 1 borosilicate glass. The marking spot has graduations to show approximate volume. Compatible with most GC and HPLC autosamplers using 12x32 mm (1.8 mL) vials. Packaged: 5 in. x 4-1/4 in. x 1-1/4 in. plastic box; Weight: 294.8 gCONTACTEmail: info.esteco@gmail.comPhone: +84 979 987 250..
123201123201 - 1.8 mL clear crimp top vial, type 1 borosilicate glass, flat bottom, with standard mouth (5 mm opening). 311001 - 11 mm aluminum crimp cap pre-stuffed with standard seal made from proprietary synthetic rubber faced on one side with a layer of PTFE. Standard seal is good for routine use; self-sealing. Packaged: 7 in. x 5-1/4in. x 3/8 in. cardboard box; Weight: 340.2 g LIÊN HỆ: Email: info.esteco@gmail.com Phone: +84 979 987 250..
123254123253 - 12x32 mm, wide-mouth design with writing patch. Amber is used for light-sensitive materials. It is made from Type 1 borosilicate glass. 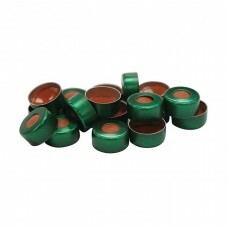 309042 - 9 mm Screw cap with pre-stuffed with PTFE/Silicone Rubber seal. Packaged: 7 in. x 5-1/4 in. x 3/8 in. Cardboard box: Weight: 317.5 gCONTACTEmail: info.esteco@gmail.comPhone: +84 979 987 250..
123245Large opening vials with 9 mm finish. For use with Agilent 7673 and other robotic arm autosamplers that use 12x32 mm crimp top vials. Excellent for long term storage. 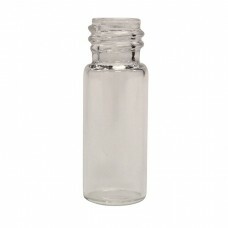 1.8 mL, 9 mm Clear Screw Vial 100 pack, with certification for dimension and cleanliness. Made of Type 1, 33 expansion glass. Packaged: 5-1/8 in. x 4-3/8 in. x 1-1/4 in. Plastic box; Weight: 249.5 gCONTACTEmail: info.esteco@gmail.comPhone: +84 979 987 250..
311001BBlue 11 mm aluminum crimp cap pre-stuffed with standard seal made from proprietary synthetic rubber faced on one side with a layer of PTFE. Standard seal is good for routine use; self-sealing. Fits 12x32 mm, 1.8 mL crimp-top vials. Packaged: 4 in. x 4 in. plastic bag; Weight: 28.4 g CONTACTEmail: info.esteco@gmail.comPhone: +84 979 987 250..
31100111 mm aluminum crimp cap pre-stuffed with standard seal made from proprietary synthetic rubber faced on one side with a layer of PTFE. Standard seal is good for routine use; self-sealing. Fits 12x32 mm, 1.8 mL crimp-top vials. Packaged: 4 in. x 4 in. plastic bag; Weight: 28.4 gLIÊN HỆ:Email: info.esteco@gmail.comĐiện thoại: +84 979 987 250..
311001RGreen 11 mm aluminum crimp cap pre-stuffed with standard seal made from proprietary synthetic rubber faced on one side with a layer of PTFE. Standard seal is good for routine use; self-sealing. Fits 12x32 mm, 1.8 mL crimp-top vials. Packaged: 4 in. x 4 in. plastic bag; Weight: 28.4 g CONTACTEmail: info.esteco@gmail.comPhone: +84 979 987 250..
311001RRed 11 mm aluminum crimp cap pre-stuffed with standard seal made from proprietary synthetic rubber faced on one side with a layer of PTFE. Standard seal is good for routine use; self-sealing. Fits 12 x 32 mm, 1.8 mL crimp-top vials. Packaged: 4 in. x 4 in. 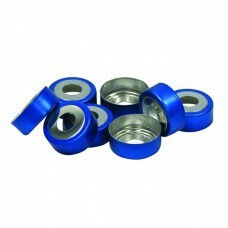 plastic bag; Weight: 28.4 gCONTACTEmail: info.esteco@gmail.comPhone: +84 979 987 250..
320126Magnetic Precision-Thread Screw Caps present a convenient alternative to crimp caps designs. Caps come with 18mm liners already installed. The liners are thinner than typical crimp top headspace liner seals, so they may be more easily pierced by SPME sampling systems. 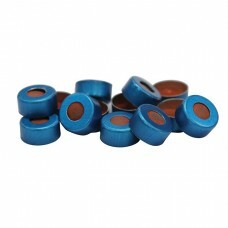 The cap has a 8 mm center hole also suitable for SPME. Packaged: 6 in. x 7 in. 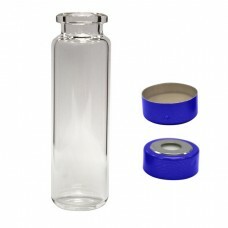 plastic bag; Weight: 187.1 gCONTACTEmail: info.esteco@gmail.comPhone: +84 979 987 250..
237511237508 - 20 mL, 76x23 mm Clear vial. 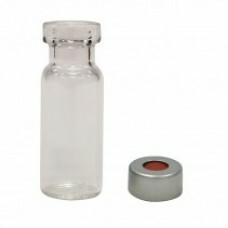 Precision-Thread vials are an alternative to crimp top headspace vials. 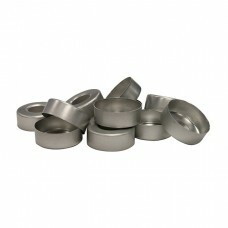 The design allows a leak tight seal with moderate twisting force. Since they do not require crimping, samples can be taken and sealed in the field without the need for sample transfer in the lab. 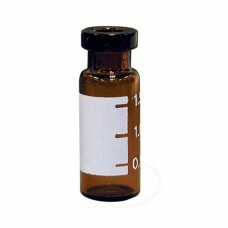 Vials can be used either for traditional headspace analyses or SPME. 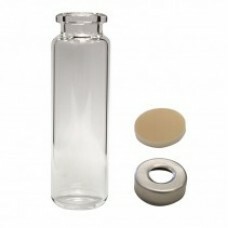 Vials have rounded bottom and 18 mm diameter necks. 320126 - 18 mm Pre-Assm Silver Screw Cap w/Sil White/PTFE Blue Septa. 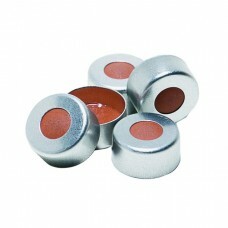 Magnetic Precision-Thread Screw Caps present a convenient alternative to crimp caps designs. Caps come with 18 mm liners already installed. The liners are thinner than typical crimp top headspace liner seals, so they may be more easily pierced by SPME sampling systems. The cap has a 8 mm center hole also suitable for SPME.CONTACTEmail: info.esteco@gmail.comPhone: +84 979 987 250..
237521237501 - 20 mL clear headspace vial, beveled lip and rounded bottom, combo-pack. 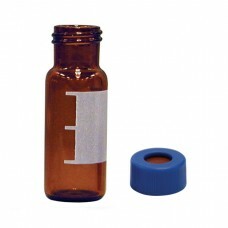 Vial is made from Type 1 borosilicate glass. 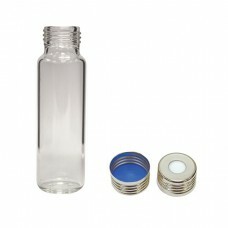 320001 - 20 mm aluminum open-hole crimp cap fits standard 20 mm vial lips, such as on headspace vials. Made from lacquered aluminum. 320101 - 20 mm PTFE/Silicone Septum 3 Packaged: 12 in. x 9 in. x 3 in. Cardboard box; Weight: 2086.5 g CONTACTEmail: info.esteco@gmail.comPhone: +84 979 987 250..
23752320 mL Headspace Vial Combo Pack w/Magnetic Ring Crimp Cap (100/pk)CONTACTEmail: info.esteco@gmail.comPhone: +84 979 987 250..
32000120mm aluminum open-hole crimp cap fits standard 20mm vial lips, such as on headspace vials. Made from lacquered aluminum. Packaged: 5 in. x 6 in. plastic bag; Weight: 45.4 gCONTACTEmail: info.esteco@gmail.comPhone: +84 979 987 250..
320607This is a 20 mm aluminum crimp cap, pre-assembled with an internal steel ring. The steel ring allows use with magnetic pick-up autosamplers while the aluminum cap can be crimped with the rechargeable 20 mm Electronic Crimper, item number 320950 and other standard crimping tools. Packaged: 6 in. x 9 in. plastic bag; Weight: 113.4 gCONTACTEmail: info.esteco@gmail.comPhone: +84 979 987 250..
32010120 mm PTFE/silicone septum for headspace analysis; 3 mm thick including a layer of PTFE. Packaged: 6 in. x 6 in. 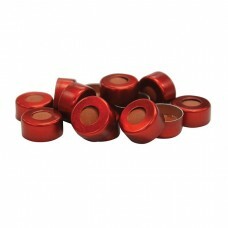 plastic bag; Weight: 127.2 gCONTACTEmail: info.esteco@gmail.comPhone: +84 979 987 250..
3900499 mm Screw Cap with bonded red/white, PTFE/Silicone, certified (100/pk) CONTACTEmail: info.esteco@gmail.comPhone: +84 979 987 250..
3900479 mm Screw Cap with red/white, PTFE/Silicone slit seal, certified (100/pk)CONTACTEmail: info.esteco@gmail.comPhone: +84 979 987 250..
123224Wider opening vials minimizes bent autosampler needles, especially when using with inserts. Type 1 borosilicate glass, 12x32 mm. (6 mm opening). The marking spot has graduations to show approximate volume. Amber is used for light-sensitive materials. Packaged: 5 in. x 4-1/4 in. x 1-1/4 in. plastic box; Weight: 315.5 gCONTACTEmail: info.esteco@gmail.comPhone: +84 979 987 250..